Microsoft and Mojang have made good on the promise from E3 2017 that Minecraft would become a cross-platform gaming experience. With the “Better Together” update, players from mobile, Xbox One, and Windows 10 platforms can all play together. It should also be noted that while the Nintendo Switch version is still in development (with a “soon” release date at best) it will be cross-platform compatible upon its release. Being able to play with your friends regardless of platform is a great step in the right direction for gamers as a whole and adds value to whichever edition players get theirs hands on. That being said, Sony opted out of being a part of this togetherness, meaning neither the PlayStation 3 nor PS4 versions will be compatible. Whether or not the comments in the video about the universe not exploding and everything being better together are meant at Sony directly will probably never be answered. Xbox One is the only console that this update will take effect on, currently. Further, it should be noted that at the time of writing this that there has been a bit of word of lag-related issues in the community when playing on servers. While this is not ideal, Mojang and 4J Studios have been known to keep a steady stream of updates flowing, meaning that anything that needs ironing out post-update will probably be tended to. 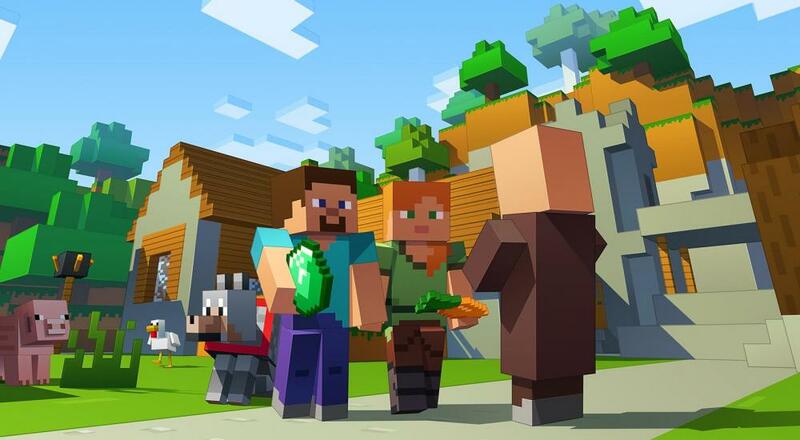 Minecraft has launched across nearly every platform since its 2009 debut on PC, spanning Android, iPhone, X1, X360, PS3, PS4, Windows 10 and a future port to Nintendo Switch. The game features both local co-op and online across the platforms via split-screen and internet, respectively. If you have any questions about what features or versions of the game are supported, Mojang put together an FAQ on the minecraft.net website. Minecraft does an outstanding job of incorporating the co-op that we here at Co-Optimus are so fond of; you can read our review here (short version: we gave it a 5 out of 5, it’s amazing.) meaning that this update is just frosting on the cake. Will you be playing together with your friends, or has the lure of caves, monsters and diamonds wore off of you? Let us know in the comments below, and for all things co-op, stick with your friends here at Co-Optimus.com.